General Motors wiped the loss-making Opel and Vauxhall brands from its balance sheet just one week ago, after it sold off its entire European operations to France’s PSA Groupe, but it isn’t done yet. A new report from Automotive News signals the General has more downsizing to do in various regions of the world, and cost cuts are likely coming to North America, too. GM’s international markets up for cuts may include Australia, India, Indonesia, Russia and Thailand, where the automaker has already scaled back or completely gutted local operations entirely. However, GM will continue to finance its unprofitable South African operations due to a highly-valued franchise chain. Expect cost cutting to hit home as well. A chart obtained by media shows GM’s plans to reduce investments in North America in an effort to focus on three different, but key, areas. Those include the Cadillac brand, the Chinese market and SUVs and pickups. GM could cut some of its full-size sedan offerings, like the Chevrolet Impala, to offset dwindling passenger car sales or it may not update these vehicles nearly as often as it has been in the past. Subcompact cars may be on the radar for less investment as well, like the Chevrolet Sonic and Spark. Time will tell if Barra’s bold moves to boost profitability will be the right ones. ‘Deconstructing’, maybe. Seems to be a popular word in DC now. Turning your back on customers and basically saying we don’t want your business any longer because we can’t make enough profit, is very tricky at best. Once you’ve waved goodbye, it’s extremely difficult (and costly) to get those customers back. 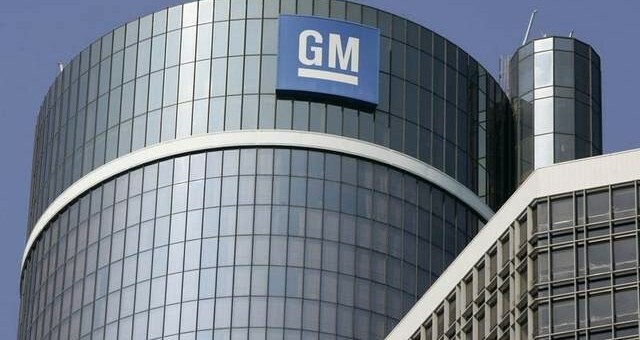 GM is smart to focus on profitability vs. market share. Chevrolet has way too many offerings. Look to other full line automakers, like Toyota, and trim excess and continually improve quality. This is business, not religion. GM doesn’t owe nobody nothin except the top-tier shareholders. As BMW has grown beyond all initial estimates, their durability and design (the ultimateness in the driving of their machines) has utterly tanked. Mercedes suffered enormous loss when their “over-engineered” reputation was dumped by Schremp to chase volume sales. The A-class is a dog. Toyota and Honda have suffered recall-madness similar to GM itself in their quests for market dominance. As much as I am not a fan of Barra, I believe a lot of this comes from GMs Lead Director and former Chairman, Tim Solso. In essence its like GM has two Chair people- one that still answers to the Board and one that leads the Board but with a less prominent title. Solso made huge downsizing changes when he became CEO at Cummins in the early 2000s and even killed off major programs that had millions of dollars invested. When it was all said and done Cummins was a much healthier company when he retired. I am still not saying I like that GM sold off Opel and I think GM still has to watch how much it shrinks and not give up on the sedan segmant altogether which would be a huge mistake for any car maker. GM not giving up on sedan sector – Cadillac has promised a long line of CT’s (4/5/6) including a new smaller 2er/A-class competitor that will be RWD, which I will buy! Out of curiosity, why aren’t you a fan of Barra? I believe she has done amazing job putting good cars on the market and boosting profitability, all while keeping grown in China on pace. While I don’t think is a bad CEO I certainly don’t think she is the best either as everyone makes her out to be. For one thing, she got to that position in a very abnormal way coming from lead HR then head of product development. No vice president, no CFO, no President experience once so ever. I feel in my humble opinion there were better canditates to take over as CEO after Ackerson retired. Speaking of him, many of the reasons GM has had improved profits the last few years were programs and decisions made under Dan and the Board over him the last year or so he was there. also i am not convinced on is Barra’s handling of Cadillac and who she has put in charge of the division. Obviously the jury is still out on Cadillac s future success and I hope I am dead wrong and they make a huge comeback here in the U.S.., Is she better then some of GMs past CEOs? Absolutely! But there were plenty better then her as well. Companies need to be efficient and right size. This is important today in a fast changing market. Many too big to fail companies today are struggling if failing because they did not make the needed changes. Just look at Sears/Kmart as they got bigger and now their stores are falling like dominoes. Radio Shack same thing as they failedyobe efficient and follow the market. Bigger is no longer always better. Spot on. One thing I remembered from college was the statement: the bigger you become, the more likely it is you will fall. GM still has to many divisions compared to other manufacturers . Right now GM has over 900,000 unsold cars in its inventory and their days supply is approx . 125 . That is the highest for any automaker for the month of February and they are not alone in having higher than industry norms of 61 / 65 days supply . The cost cutting will hit the car side and hopefully not so much the small car side . Even though GM has had a rough time in making a profit building them if they focused more on the quality side of them maybe that would help . With gas prices where they are at present the pickup and SUV side is a profit generator but I think it would be a mistake for GM to cut to deeply on small cars in case oil prices start to rise and GM will be stuck with products that they won’t be able to sell . Most of GM’s factories have been operating at full capacity and we are sure to see more layoffs and shift cuts until GM can get a handle on metal that isn’t selling . Buick’s biggest seller is from South Korea, not China. And the Chinese are buying more Cadillacs than Americans are. But if we make them here and ship them over, GM gets slapped with a 35% import tax, and the sales proceeds are split 50/50 with SAIC. I’m not a fan of this news. I like big cars (like the Impala and Lacrosse), and my wife likes small ones (like the Sonic). Neither of us like crossovers. I’ve been a lifelong GM fan, supporter and owner, but I would buy a sedan from someone else (Ford, most likely) before I would buy a crossover from GM. I’m also not interested in the direction that Cadillac is headed in with their sedans these days. General Motors is getting rid of deadwood so that they can better invest in better products.. as they wouldn’t have sold off Opel if the company was making a profit of any size. I wouldn’t hold my breath that GM would kill off Chevrolet’s Impala especially as Chevy sold 7,165 Impalas in FEB 2017; although sales are down, the Impala is 5 years old and might be ready for refreshing or replacement. Even though Impala sales have dropped a bit, it is still the best selling full size sedan. out selling the Ford Taurus, Toyota Avalon and Nissan Maxima. OMEGA, you may need to rethink your statement. The Impala is not going anywhere…even at 7000 sales a month. that comes to 84,000 a year. Here are the 2016 North American sales of Full Size Sedans (NON- LUXURY). Impala is tops.